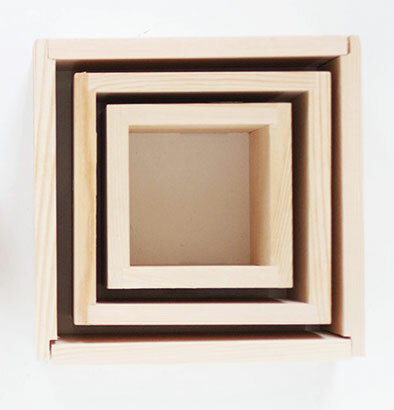 We have already shown shelves made in the formhoneycombs of hexagonal and triangular shape. Hexagonal look cool, but for the manufacture require the availability of special equipment for oblique cutting of boards. With triangles the same problem, but the rectangular make is much easier. On the example of the workpiece have a special groove for greater strength of the structure, but you can do without it if you join the boards with thin screws and glue them. You can also use standard wooden dowels for furniture, they are inexpensive. 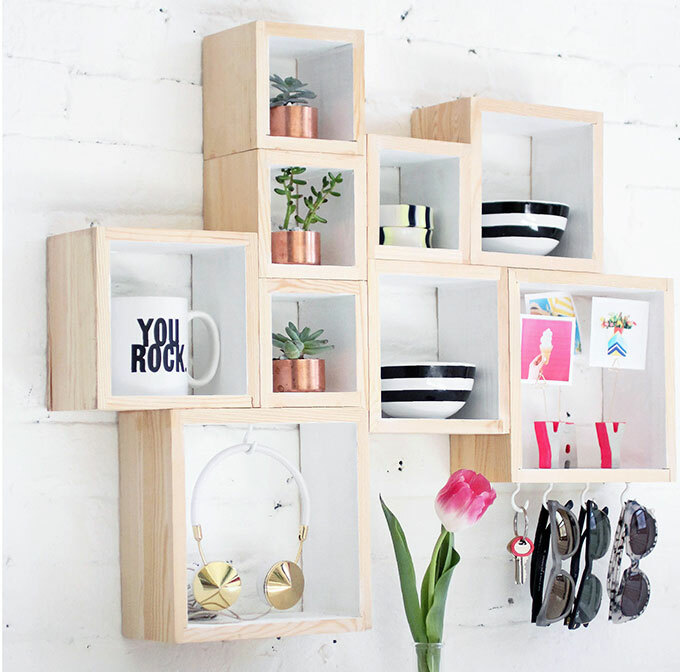 Original shelves for the house with their own hands in the form of bee honeycombs Original wooden shelves for wooden triangles Wooden shelves in the form of aircraft with their own hands Folding shelves We decorate the wall. The original idea of ​​decor.